Happy Monday! We just came off a weekend in which we covered a really rad beer, food, and rock festival in the form of Sabroso Fest, which we'll be posting an update about tomorrow. But if you're sitting there, thinking to yourself, "Wow, I wish I had gone to a really rad beer, food, and rock festival this weekend," you're in luck! In a few weekends, you'll have the chance to do so! That's because on the last weekend of this month, at Huntington Beach, the inaugural Back to the Beach Festival will be happening across not one but two days. Featuring a ton of great rock, punk, reggae, and ska bands, plus some craft beer, a carnival zone, and some great food. It's a family-friendly event too--kids 9 and under will get in for free when accompanied by an adult--but fans who grew up on 90s and early 2000s rock and alternative will enjoy the line-up too. The festival line-up. Image courtesy of Back to the Beach Festival. Tickets are still quite available, so head over and purchase some now, if you're a fan of booze, eats, and great music! We're definitely fans of this new influx of food and drink and music festivals permeating Southern California, and no doubt, this will bring a great time for attendees too. KROQ, Travis Barker and John Feldmann come together to announce Back To The Beach--a new weekend destination festival featuring some of the biggest names in modern ska, punk and reggae--debuting Saturday, April 28 and Sunday, April 29 on the sand at the world famous Huntington State Beach, in Southern California. 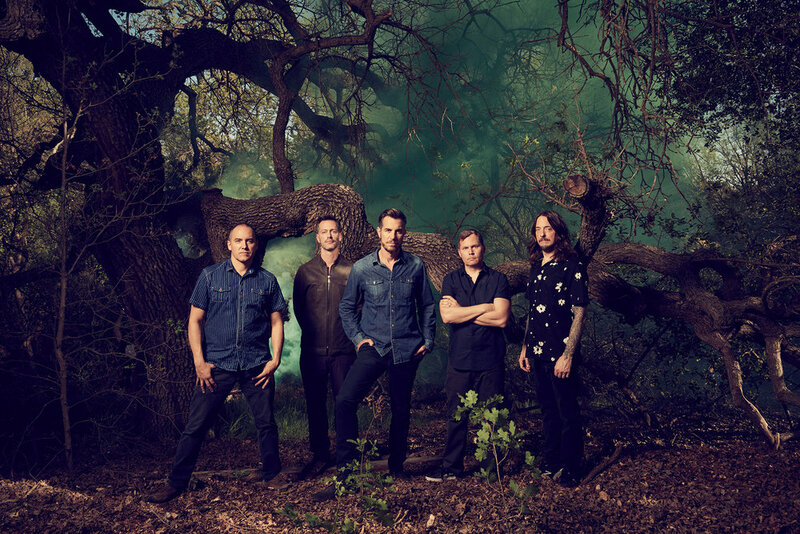 311 is one of the headlining bands. Photo courtesy of Back to the Beach Festival. Tickets go on sale Friday, February 23 at 10:00 AM PT at http://backtothebeachfest.com. A limited number of VIP ticket package options are available (see below for details). For this family friendly event, kids under 10 get in free when accompanied by an adult with paid admission. This is an all-ages event. Sunday, April 29: Sublime With Rome, Goldfinger (featuring Travis Barker), Fishbone (the original lineup), Save Ferris, The Interrupters, Mustard Plug, The Aggrolites, The Untouchables, and more. Sublime with Rome will headline Sunday at BttB Festival. Photo courtesy of Back to the Beach Festival. 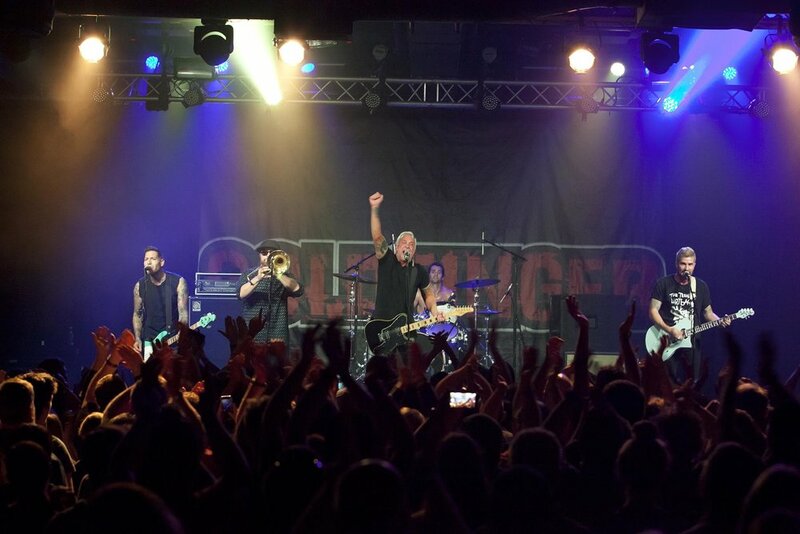 Festival co-founder John Feldmann and his band, Goldfinger. Photo courtesy of Back to the Beach Festival. "With such an incredible ska-influenced lineup, this is the dream show for every Southern California music fan from 1995 to today. Travis Barker and John Feldmann put in a lot of hard work with me to get this right and we think we accomplished our goal. We have to thank California State Parks for letting us do this at the most unbelievable venue on the sand at the most popular beach on Earth…Huntington State Beach. So many attractions, great food and drink... A CAN’T MISS WEEKEND," states John Reese, Back To The Beach Producer and President of SGE, Inc.
Big D and the Kids, another one of the performers. Photo courtesy of Back to the Beach Festival. Photo courtesy of Back to the Beach Festival. Performing band, Fishbone. Photo courtesy of Back to the Beach Festival. About Synergy Global Entertainment, Inc.: Synergy Global Entertainment, Inc. (SGE) specializes in producing music events and music marketing programs benefiting brands, artists, consumers, partners and attendees alike. SGE has produced thousands of branded music festivals, concerts, tours and events throughout the world playing to millions of applauding fans.